Imagine what it might be like to live in a completely behaviourally random world. You go to the cafe and order a latte, and the cashier asks for your hat and coat. As a cooperative citizen, you give it to the lady who throws it in the trash, as she calls out “NEXT” and turns her attention to the person behind you in line. You move down the counter to pick up your latte, and the barrista, comes out from behind the counter and grabs you and begins to waltz you around the Salvador Dali cafe and throws open the door and turfs you out onto the sidewalk. On the sidewalk, a bear in a business suit offers you a Rolex, cheap from inside his waistcoat and when you say no, he pulls out some flowers and hands them to you and approaches someone else on the street. Still wanting a latte you go back into the store, only to find that it is now filled with pink balloons and you cannot make your way to the counter. After much struggling, you catch the eye of the cashier and mention your latte and she says “no latte today, m’dear, only champers and cheese” and hands you a plate of candied almonds. Nothing you do can change the maelstrom of activity you have found yourself within. How would you feel? When we work with dogs, they are forever looking for the way through the maze; the way to control their environment, the rules of the game. There are lots of games you can play and learn the rules through experience, and training is one of them. Yesterday, I worked with a lovely young terrier who is trying to figure out the rules. When she barks, she wants attention, and as a youngster, it worked well. She can make her person do all sorts of things by barking. Not wanting to disturb people, her person will come in to her and pick her up, or give her treats or tell her to be quiet or point a finger at her or tell her to lie down. Like trying to order a latte in the Salvadore Dali cafe, everything changes at every step of the game. So how can we make training an experiential fun game for the dog? Think about games and activities that you have learned through experience. If someone invites you to play Scrabble and you have never played before, it might run like this. Your opponent will give you a hint or a clue or a starting point. Perhaps they will start by giving you a tile tray and some tiles and ask you to make some words in your tile tray without showing the words that you have found. Then your opponent will put down some tiles and the board and explain how the scoring works. Then it is your turn and you can take your letters and place them on the board to make a word that intersects the first word. You do this and your opponent scores your word for you and then it is his turn again. He makes a word that intersects a word on the board and you work out the scoring together. Turn by turn you learn the rules of the game, what strategies work and which strategies are ineffective. This is exactly how dogs learn when we train using operant conditioning. Coming back to my terrier friend (she really is a friendly dog who is just trying to make sense of her world), what we set up for training was a contingency that allowed her to learn some rules through experience. The first thing we did was use a tether to limit where she could go; we set up a playing area so to speak. Then we clicked and treated to remind her that the game was starting and give her some information about the game and how it would work. Then we used four basic rules; if she was quiet, her person would stand close to her and wait. If she was barking, her person would take one step back for each bark, until he got to the far end of the room. After barking started, if she were quiet, her person would come back one step at a time. If she lay down, her person would click and treat. At first, she didn’t know the rules so she did a lot of different things to see what would happen. When she barked, her person would step back. This frustrated her and so she barked louder. When her person was about twenty steps back, she stopped barking and he stepped forward. Then she barked again and he stepped back. For about five minutes, she learned how her behaviour affected the behaviour of her partner. Then abruptly, she lay down. Her partner came in and fed her a treat. And she barked. He backed up. She stopped barking and stood up. He stepped closer. She lay down, he gave her a treat. A very simple, but very predictable game, in which she controlled the behaviour of her partner. This is how I think the best training works. The trainer decides on the game for the day. The trainer decides on what the contingencies are. 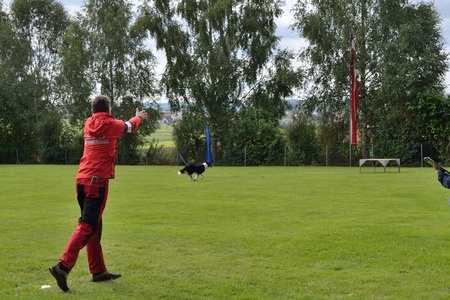 Then the trainer allows the dog to work out the contingencies. The dog gets to decide if he wants to play or not and if the trainer has done his job well he has set up rules that make sense to the dog and the dog wants to play. In order to do this we have to understand some things about the game and about the dog we are working with. If I have a dog who LOVES liver, but doesn’t love cheese, then it doesn’t matter what I want the dog to do, cheese is not going to help him to learn the rules of the game. Likewise if the penalty is something the dog doesn’t care about, then using that as a penalty isn’t going to work. If in the scenario that I presented above the dog was afraid of the handler and barking made him go away, the dog would learn that barking resulted in something he wanted and he would do more barking. I see this all the time in training. The person thinks that their dog should like something, and they offer it as a reward, and the dog when working out the rules figures out that he will get something he doesn’t want to have if he does a particular behaviour. This isn’t about the dog not wanting to play your game; this is about the dog not wanting what you have to offer. Sometimes the task we are asking the dog to do is of no interest to him. If we ask a herding dog to go sit in a boat and retrieve ducks, no amount of liver is going to make that as fun for him as taking him out to herd sheep. In the best training the activities we do with our dogs are of interest to the dog. That said, there are always parts of the game that we might not enjoy; I hate setting up the board in Scrabble, but if I don’t do that part, I cannot do the part that I like doing. Manners are an example of activities that your dog must do in order to get to do things he likes better. Behaviours like greeting with four on the floor, taking treats gently, and keeping quiet are all behaviours that the dog must learn in order to be able to do things like playing agility, herding sheep or retrieving ducks. Teaching good manners allows us to do more fun things with our dogs later and also allows us to establish that the dog doesn’t live in a random world where nothing he does affects the world he lives within. Luring is a tool that I often see in the training game that can be quickly and dangerously misused. Imagine if in my Salvador Dali coffee shop, the cashier kept holding out that latte that I wanted, but I could only get it by following her around. I might tolerate a lot of Rolex selling bears and pink balloons to get my lattte, but I probably wouldn’t enjoy the experience a whole lot more. Luring should be only used with caution and with respect for the dog. When a novice trainer discovers that he can make the dog sit by holding the lure over the dog’s head, it is a short and dangerous step to using the lure to get the dog to do things he might consider otherwise risky. Consider the dog who is not confident about getting onto a piece of agility equipment. The trainer puts the lure on the equipment, and the dog is then in a conundrum; he can get the treat, but he isn’t learning to control his environment any longer. He is conflicted because he wants the treat, but he has to do something that he considers dangerous to get that treat. He doesn’t learn to play the game as much as he learns to balance the conflict between what he wants and what he doesn’t want to do. Luring is even more dangerous when it is used to get the dog to interact with people or dogs he isn’t sure of, because he may at that point become aggressive. Luring, properly used tells the dog how to position his body, but that is all it should be used for. If the dog is concerned in any way about what you want him to do, pairing the thing he is concerned about to the thing he wants is a much safer bet than making his interaction the contingency that results in a treat. As soon as worry comes into the game, then it is not fun anymore. Then it is time to play a different game; a game that will allow the learner to figure out that he is safe and that the world is a good place to interact with. When the dog is worried the game should simply be “see that scary thing? It produces treats” This game is great when it is played with the frightening thing far enough away that the dog can cope with his fear. Only when fear dissolves can you switch back to a game of “if you interact with the thing you are worried about, you will get a treat”. When we think about training as a game, we can set up a series of rules and outcomes that the dog can be successful at. Teaching dogs to be confident is contingent on the dog being repeatedly successful. If the dog is successful over and over again, the dog starts to think that he can do many more things than he used to be able to do. Perhaps the worst thing we can do to our dogs is create a random world where they cannot control what they live with. Overwhelming dogs with repeated conflicts or failures results in a dog who lacks confidence and who doesn’t want to participate in training games. If your dog feels like he is living in the Salvador Dali coffee shop, don’t be surprised if he stops participating in the training game, or if he becomes tense or fearful or anxious. Just writing about the Salvador Dali cafe is difficult because none of it makes sense and there is no control over the outcomes. When there is no control over your world, learning is inefficient and upsetting and pretty soon you have a dog who just doesn’t want to participate any more. Imagine for a moment that you were commissioning an architect to build you a house. You want a very special house; one that will allow you to do some very special things. Imagine for a moment all the things that YOU want for your house. In my house, I would like a big woodstove, and a kitchen with great counter space, and new appliances, and an indoor/outdoor swimming pool within a greenhouse with big sliding windows so that in the summer we could have the air flow through but in the winter we could take advantage of passive solar. I want a VERY fancy house. Now, given what I want in my house, it is going to need electricity. Imagine for a moment, that my architect, who has come highly recommended by all my friends, who has built lovely houses before, has decided that he will not work with electricians. Or electrical engineers. Or anyone in the electrical industry. 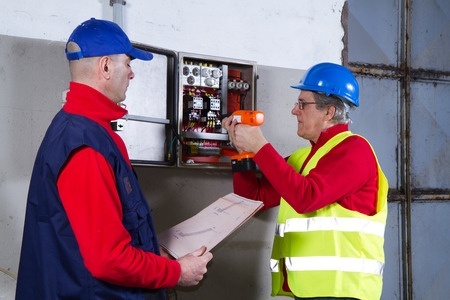 And he won’t read the legal code that electricians must adhere to when they do their work. He has his own ideas about electricity and in his architectural drawings, he is going to lay out the electrical system HE wants, regardless of what might be accepted in the industry. Now, granted he has added some improvements to the way things normally work, but in other buildings that he has been involved with, there have always been hang ups during construction while the building inspector goes through and makes all the changes to what this architect has indicated on the drawings-because the architect, while he may think his methods are better, is actually doing something that a lot of dog behaviour consultants, veterinarians and trainers do that we ought not do. He is practicing outside of his area of competence. Architects need to know some things about electricity, electrical set ups, and the electrical code. Architects have to follow guidelines when making building plans. But architects are not electricians. And here is a piece of news. I am a dog behaviour consultant. In fact, I am a Certified Dog Behaviour Consultant. I did not go to school to become a veterinarian. Or even a vet tech. I know enough about dog health to tell you when you need to go to the vet, and I know enough about dog biology and health to be able to carry on a very informed discussion with a veterinarian about a dog in our care. Here is the thing: I need an invite from the client to do so. If I hired an architect to build a house for me, I would insist that the various professionals that I hired were able to work together. The architect needs to be able to work with the engineers, the contractors, my lawyer, and my accountant. The other professionals need to be able to work together too. The day of the one stop jack of all trades professional is gone. The same is true of the people who help you with your dog’s behaviour; they need to get along in the sandbox with your vet, your daycare, you dog walker, your groomer and your breeder. We don’t need to go out for dinner together, but we DO need to find a way to work with one another, recognizing one another’s strengths and specialties and consulting one another opening. Your vet did not study behaviour in school and likely has not trained as many dogs as I have. Your daycare is unlikely to have given very many dogs haircuts and your groomer should not be drawing blood and doing bloodwork on your dog. We each know something about the work that the other does, and we can each contribute something to your dog’s wellbeing in the other places that your dog is going, but we each have a specialty and we need to respect one another’s specializations. So when you are working with a professional for the improvement of your dog’s quality of life, put the professionals you use in touch with one another. And beware that those who are not playing nice in the sandbox with one another may not be able to help you in every way possible. The best outcomes for dogs happen when we are all on the same team. 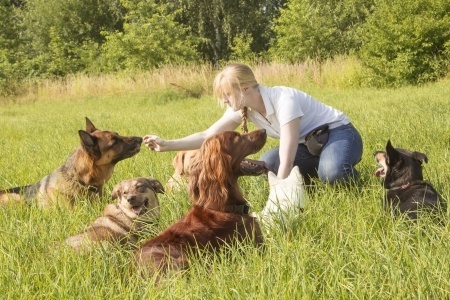 SO….YOU THINK YOU WOULD LIKE TO BECOME A DOG TRAINER? This is the sort of conversation I have with people who want to be professional dog trainers. They want to start where I finished up! I have to admit that I started out as a dog training instructor the wrong way round, but back in the day, when I started teaching, there were few options other than the way that I started. I started out by purchasing a dog and spending two years learning how to train her. After that, I borrowed two dogs from a room mate and took them to classes. I showed all three dogs in matches and trials. A few years later, I got a second dog and trained him. Then when my boyfriend at the time had a dog who was aggressive, I worked with that dog and started a little training club for me and my friends. After a year of volunteer coordinating, I charged a small fee to join our classes. I taught this way for the next seven or eight years and then I opened Dogs in the Park as a school. By that time, I had read thousands of articles, participated on a wide variety of internet chats and BBS’s, and had read hundreds of books on the subject, as well as attending workshops and seminars to learn more of my craft. Once the school was opened, I went back to university and took some upper year behaviour courses. Then I wrote and passed the Certified Pet Dog Trainer exam (now the Certified Professional Dog Trainer-Knowledge Assessed exam, through the Counsel for the Certification of Professional Dog Training-www.ccpdt.org) and was grandfathered into the International Association of Animal Behaviour Consultants as a clinical member. This is not how I would recommend that you go about it now! The first thing I would suggest that you do if you want to become a dog trainer is get a good feel for what the job is. There are two basic types of dog trainers-those of us who take dogs in to board, known widely as pro-trainers, and those of us who are actually teaching people as training instructors. Figure out which job interests you. There are spaces available for each type of professional, but what you want to do is going to dictate how you go about developing your craft. Pro-trainers tend to have a specialization such as working with gun dogs, or protection or detection dogs. Instructors tend to have a solid base of pet owners to work with and then a few clients in the upper levels of a particular discipline. A very small number of people train medical service dogs-the demand for these dogs is very high, and thus they are very, very expensive to purchase, but the overhead for the trainers is also very high and you will find that if you want to go into this field, you need to have a very extensive knowledge of disabilities and disability related issues on top of your training and teaching experience. Explore the field carefully before you decide what you want to do, because if you do end up in this field, you will work long hours and many days without days off to make it work. Next, train a dog through to a minimum standard. I don’t mean teach a dog to sit after you have asked him three times, or after you have waved a steak under his nose or when you have physically forced him to do it. Train a dog through a title, where a third party has looked at your dog, and has determined that your dog knows all the things he must know to pass a test. If herding is your sport this means training a dog to the upper levels in that sport and passing at least a Herding Intermediate test, not passing the Herding Instinct Certificate. The same is true of obedience (you should be able to train a dog through Companion Excellent at least! ), retrieving (Master Hunter) and Agility (Agility Excellent). If competitive sports just isn’t your thing, then train a Service Dog from puppyhood to placement, train a Search and Rescue Dog and work that dog. If you haven’t done work with a dog to the extent that you have taught him to do tasks and done them with him, then you aren’t a dog trainer, plain and simple. You should try and get out to three to five events per year where you can strut your stuff with your dog, and if you can get out once a month, so much the better. At some point, you will need to start to get experience with a variety of dogs and in front of groups of classes. If you are someone who describes yourself as someone who prefers the company of animals to that of people, you may want to rethink working as a professional in the field of dog training. If you are intimidated by job interviews, then working as a pro-trainer for individual dog owners is not for you-because every dog you train comes with an owner who should and often will grill you about your credentials, the dogs you have trained and the titles those dogs have earned. If you don’t love people to the core of your being and if you aren’t willing to bend and flex and change how you do things on a day to day basis, then training service dogs probably isn’t for you either-your clients in this case will need your very best efforts at understanding how they learn, and figuring out how to make things work for them. Service dog training is the ultimate in customer service, and the stakes are high-do your job wrong or poorly and instead of contributing to someone’s quality of life, you will decrease it. If standing in front of a group and explaining concepts and activities and making abstract ideas into the concrete doesn’t thrill you, then reconsider being a training instructor. So with all those caveats, where can you start to get some experience? Borrow dogs. There are loads of dogs in your life who would benefit from training and at this stage you don’t need to take them to classes. Keep training notes and get commitment from the owners to allow you to work for a specified period of time. At this point in the process, there is little to be gained from fixing behaviour problems. Learn to teach skills before tackling behaviour modification, which is a whole field unto itself. 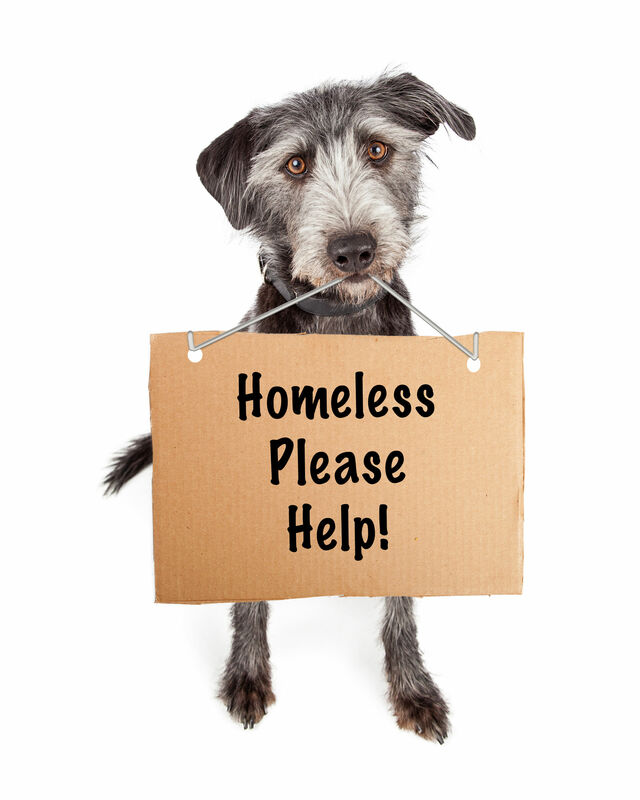 If you are so inclined, work with shelter dogs-but beware that you will be limited in what you can teach them due to time constraints and the limitations that shelters put on volunteers who are learning to train. You cannot learn to teach a dog to come from two hundred metres if you are not allowed to take the dog off leash, or to leave the facility. Some rescues may allow you to do this, but they are not all that common. The time to work with dogs in rescue and shelters is when you know enough to be effective quickly. It is important to respect the dogs in rescue and not use them as guinea pigs for your learning. When I hear about people using shelter dogs to practice basic training skills when they don’t have any background, I think that we are chipping coins into a pot of disrespect and disposal-this dog is a throw away item, and can be assigned to whatever person who comes along. Go and spend time with these dogs by all means-but don’t learn your trade on the backs of the disadvantaged. If you have come this far with your own education, it is time to invest (yes, that means spending money!) on some more formal education. All the way along, you need to participate in on line discussion groups, read blogs like this one, and borrow or buy books, but at this point you need to get serious. You need to spend the money to go to seminars, to get books and training equipment and sometimes to take university or college courses. The investment in time and effort and money will only pay dividends, even if you walk away from the seminar thinking “well, there is something I won’t do”. When attending seminars, I strongly urge students to NOT take their dogs at least at first. Go to the seminars, listen, take notes, record if you are allowed to do so, but leave Fido at home. Why you might ask? Simply because Fido is not there to learn; you are, and he is not likely trained to spend eight hours in a day hanging out at a seminar. From the standpoint of a dog, these activities are BORING! If you really want to give it a shot, book a private session (yes, more investment!) with the speaker after the event. Clicker Expo is on my list of must see events for all trainers at least once, and preferably twice. Beyond twice, I don’t think there is much to be gained. Suzanne Clothier seminars are good too, and so is her book. Ian Dunbar is entertaining and worth the price of admission at least once. Beyond these three, there is such an incredible amount of information out there that it is worth researching other speakers and considering them. You should plan on attending three to five weekend seminars a year for the first five years of your career. Minimum. If you can get to one a month, that is even better. You should plan on being an assistant for one to three years depending upon how much time you have to do this, on how good you are, on how much education you have and on the mentor you have. Your goal should be to be doing elements of the end job as you gain competency. Some people will get to that point quickly and some people will take longer. You need a mentor who is willing to coach you and give you challenging things to do and teach and you need to devote the time to making that worth your mentor’s time. If retrieving is your discipline, that means volunteering to chuck ducks in the cold and mud for hours at a time, in odd hours and in your spare time. If you are hoping to become a training instructor, expect to sweep the training hall, hold leashes and check off enrolment forms. If you are hoping to become a service dog trainer, expect to spend a lot of your time cleaning kennels, walking dogs and helping set up training scenarios. This phase involves a lot of grunt work and some of it unpleasant but in my opinion it is an important phase of development. I learned more about horses from the time I spent cleaning stables than I ever did during my riding lessons, and the same is true of dogs and the dog industry. Around about this time, you need to start considering what sort of certification is going to be most helpful to you as a trainer. 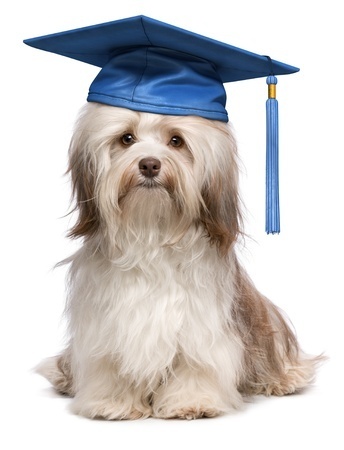 The Certificate of Professional Dog Training (www.ccpdt.org) is a really good bet; it has the advantage of being administered like a board examination, and there is no single course or career path to take to get there. The path described above will help you a lot, with the caveat that you will need to get actual teaching time on the ground under your belt if you want to take that. Different disciplines may have other opportunities too. Because you will be attending the University of You-you get to figure out what is going to benefit you the most. Follow this path, and in three to five years, you too can become a professional dog trainer.